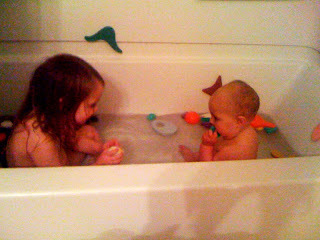 Two babies in the tub. Thanks for visiting my blog. Your kids are adorable.